The SPD Administrative Services Unit is the “Department behind the Department.” This unit is comprised of the SPD Building Services, Personnel, Purchasing, Quartermaster, and Vehicle Services. The Administrative Services Unit is housed at the new SPD Administrative Services Complex on Edwin Street. The SPD Building Services Department handles all matters dealing with SPD’s buildings (both owned and leased) and the surrounding properties. Building services is also responsible for the securing of these buildings in the event of a hurricane or tropical storm. The maintenance of the grounds and the buildings is overseen by this office as well. The Personnel Department handles all personnel matters for the sworn, non-sworn and civilian staff of the Savannah Police Department. This includes payroll, timekeeping, leave/vacation requests, as well as any other personnel issues that may arise. The personnel department is also involved in processing new employees and assisting in the out-processing of retirees or personnel leaving the department. The Purchasing and Budget department is responsible for all financial matters for the Savannah Police Department. All purchases, request for bids, request for expenditures, the annual budget, travel expenses, grant monies and other financial matters are handled through this office. The Quartermaster Department is responsible for all of the equipment and consumables issued to the department. This includes not only uniforms, duty belts, ballistic vests, boots, but also paper, report forms, citations, water for special events, and multiple other consumables. The Vehicle Services Department is responsible for the issuance and maintenance records on all SPD vehicles. This includes not only patrol vehicles, but also trailers, pick-up trucks, unmarked vehicles, specialty vehicles, and administrative vehicles. The Vehicle Coordinator is also responsible for the marking of the vehicles and the end of life cycle disposal of vehicles. Take the time to register your bike. Fill out our Online Bicycle Registration at the bottom of this page OR download the form below as a Word Document, print it, and drop it off at any precinct. Securing your bike is the most important thing you can do to prevent theft. 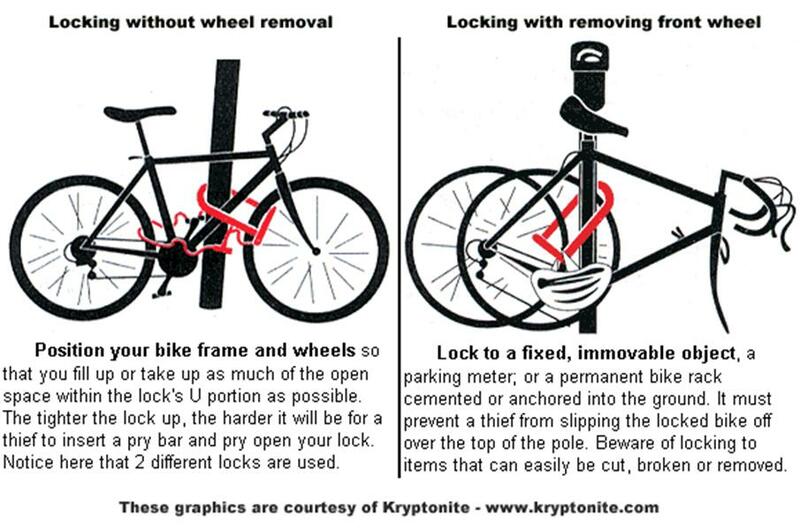 Use proper locks and secure your bike in proper locations. The best way to secure your bike is to take it indoors. A secure bike is out of sight! This is the MOST effective way to prevent theft. Georgia criminal history records can be obtained by submitting a signed, notarized consent that has been provided by the Savannah Police Department. Persons needing to complete the SPD Application Permit for Security Services, Alarm Installation, and Private Detective Agency Businesses CLICK HERE FOR THE FORM. 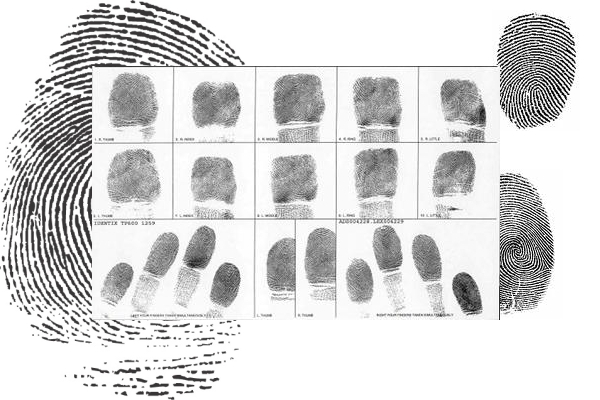 Fingerprints for the general public are done by Savannah Police Department at the Administrative Services and Training Complex, located at 78 Ross Road. The hours of operation are 1:30 p.m. until 4:30 p.m. on Tuesdays and Thursdays, but not holidays. Fingerprinting is free, and a picture ID is required. FBI fingerprint cards can be provided if needed. If prints are needed for an alcohol license, an application must be filled out in advance. If prints are needed for a gun application, daycare licensing, elder care, or adoptions through the State of Georgia, prints must be done at the UPS Store located at 1 Diamond Causeway. Contact UPS at (912) 303-0912 for more information. Please see Georgia Application Processing for information pertaining to fingerprint processing and results. For more information on this service, contact the Forensics Unit at (912) 651-6700. The Savannah Police Department recognizes that a number of officers engage in extra-duty employment as a legitimate means of supplementing their income. This program benefits the SPD, along with our jurisdiction, while placing the burden of the cost on the people who employ these officers. The SPD also recognizes that it has a responsibility to properly, and fairly, manage the program. Businesses desiring to Hire an Officer to work in an extra-duty capacity should contact the Outside Employment Office. Officers shall only work for employers that currently have an SPD “Request to Hire a Police Officer” (SPD Form 99) on file with the Outside Employment Office. The SPD Form 99 shall be completely and legibly filled out and signed by the prospective employer, prior to submission, for all extra-duty employment. The Form 99 must contain the complete legal name of the employing company and/or contact person, as well as the Employer’s Worker’s Compensation Insurance carrier name, accurate numerical address, policy number, agent, and accurate contact telephone number. The employer must initial and agree to the City of Savannah’s Cost Recovery Fees, which recover the cost of wear and tear on the officer’s uniform, vehicle, and other expenses incurred by SPD in permitting the officer to work in an extra-duty capacity. Events that require a permit — such as a wedding in a Park or Square, run or walk event, public assembly, etc. — that desire to hire off-duty officers do not require a SPD Form 99 or Workman’s Compensation. The permitted event holder must still agree to the City of Savannah’s cost recovery fees, which recover the cost of wear and tear on the officer’s uniform, vehicle, and other expenses incurred by SPD in permitting the officer to work in an extra-duty capacity. Please give us a minimum of 4 Working Days notice before your event to allow us to adequately staff the event. The Outside Employment Office is open Monday-Friday from 8:00 a.m. until 4:30 p.m. The Property and Evidence Unit receives, processes, stores and secures all property and evidence that is either found or seized within the jurisdiction of Savannah and Chatham County. The integrity of the evidentiary chain of custody is maintained until such time as there is a disposition rendered upon the property or evidence by the court or the property is returned to its rightful owner. The Property and Evidence Unit is an essential part of the department’s prosecution of cases within the local, state, and federal court systems. In April 2013, the unit was relocated to a facility on Edwin Street and has been designated as the overall repository for the storage of evidence for the city and county. The unit consists of 1 Police Sergeant, 1 Property Room Supervisor and 5 Civilian Evidence Technicians. Members of the unit are required to receive property and evidence training from the International Association of Property and Evidence, Marijuana Examiners Certification by the State of Georgia, courtroom testimony training, and on-the-job training. It is the goal and responsibility of the Savannah Police Department’s Property and Evidence Unit to return all found, safekeeping and evidence-related property to the rightful owner when it is no longer needed for prosecution. The property auction list describes the current property within the unit and lists the possible owners (if known). If you are the owner or if you know any of the people listed please contact the Property and Evidence Unit at (912) 651-6678. When describing the item(s) listed, you will also have to reference the Case Report Number (CRN). When claiming any property, you will need you to bring proof of ownership (receipts, pictures or other documentation). Property currently held as evidence in a case will also require release permission from the officer, detective, or judge handling such case. Any property that is not claimed within five weeks of being posted on this website will be publicly auctioned via the Liberty Auctions website. Property will be processed for public auction after it is picked up by auction house staff. This listing process may take up to several weeks. If you are interested in bidding on any of these items, it is recommended that you check the Liberty Auctions website regularly. In addition, SPD no longer conducts car auctions. Surplus police vehicles are now dispersed through Government Surplus Auctions at: www.govdeals.com. When property crimes occur, stolen items often end up at pawn shops. SPD's Pawn Unit has teamed up with local pawn shops and Leads Online, a new database that compares what is bought at local pawn shops to an inventory of reported stolen items. Through this partnership, SPD can more easily recover stolen property. Leads Online also offers community members the ability to create a personal inventory of their belongings. This inventory can contain pictures, serial numbers, item descriptions and scans of purchase receipts. All records are stored in a secure, password-protected database. 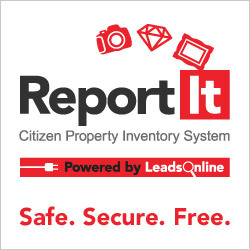 This inventory is then added to the data that is scanned by Leads Online to check for pawned stolen property. In the end, this leads to higher recovery rates of stolen property and, ultimately, the prosecution of the criminals who are pawning it. All vehicles illegally parked in the City of Savannah are towed at the owner's expense. Affected motorists must obtain a vehicle release form from SPD Headquarters, 201 Habersham St., in order to claim any towed vehicle. You must come in person. Proof of ownership (picture identification and the vehicle's currrent registration or title) is required to obtain a vehicle release form from SPD. An insurance card is not proof of ownership. You must then contact the individual towing company to arrange to have your vehicle released. The individual towing company will not release the vehicle without a vehicle release form. This program assists innocent violent crime victims with out-of-pocket medical or counseling bills, funeral costs, and lost wages directly related to victimization. Eligibility for funds is based on criteria designed by the State of Georgia.